No need to be an expert to recognise this soft fill range: you identify them first by their gourmet fillings and then by their inimitable taste. 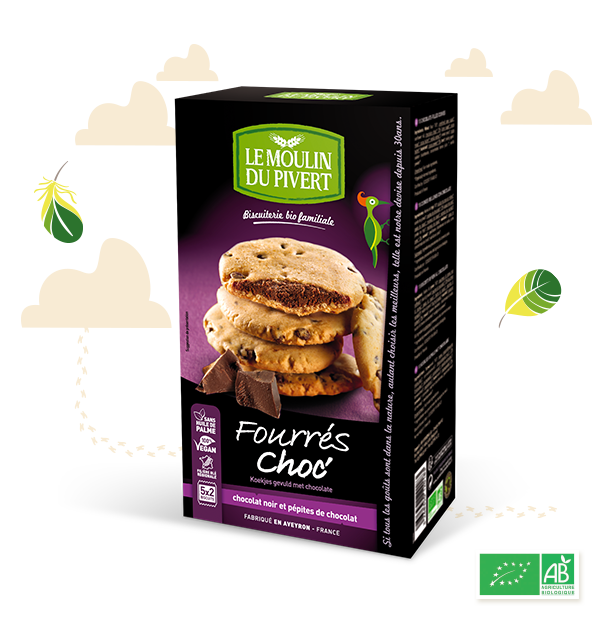 This cookie filled with dark chocolate and sprinkled with chocolate chips will delight fans of crunchy biscuits. 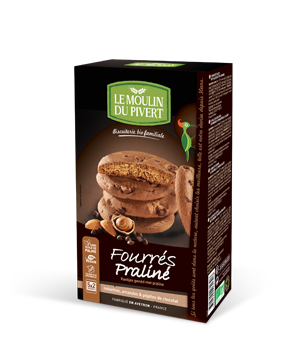 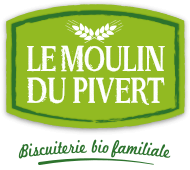 My secret is the tasty mixture of a wheat flour ground at the Montricoux family mill (Tarn-et-Garonne), with fair trade unrefined cane sugar, good fair trade chocolate and a few nuts for even more taste. 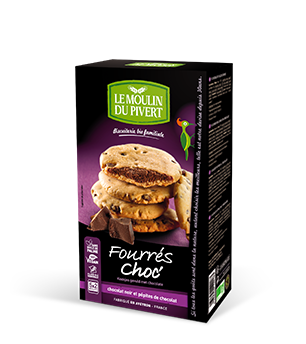 Wheat flour T65*, unrefined cane sugar*, sunflower oil*, chocolate chips* 12% (cane sugar*, cocoa mass*, cocoa butter*, vanilla extract*), wheat syrup*, cocoa butter*, hazelnuts*, cocoa powder* 3%, oat fiber*, raising agents: sodium bicarbonate, lemon juice concentrate*, vanilla powder*.